The goodness of kesar elaichi is packed in a bottle and brought to you by Sawariya Brand. This drink is not only royal in its taste but also very refreshing. If you are looking out for an instant dose of freshness, indulge in the goodness of kesar elaichi drink. Safforn is widely known for its medicinal value and flavor. 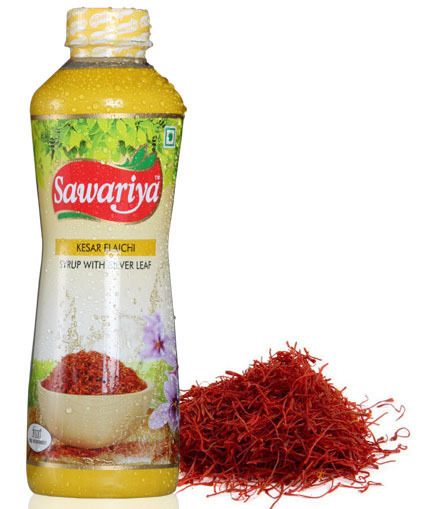 These saffron colored strands are known to be anti-depressants and health promoters. It also aids as an antiseptic, anti-oxidant etc.